2-3 players are "it". 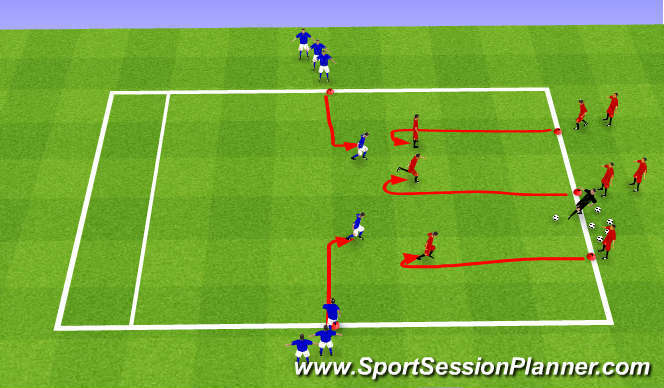 run around to tag dribblers. Add or take away number of defenders to make the game smooth. Dribblers can dribble in and stop the ball in a "Safe Zone"
If a dribbler is tagged, players switch roles. Take away zones, add gates. dribblers count points to how many gates they go through in the allotted time. Defenders can steal the ball and use it for themselves to score points. Five jumping jacks to players who are "it" after 1-2 minutes. 2v2 to point players. One team goes long and gets points for getting the ball from side to side. the players on the longer ended sideline help their team keep possession. Play four three-minute games so all groups of players play every role. *keep ball away from defender by keeping body in between ball and defender. 3v2 to end zone - player must dribble through end zone to score. 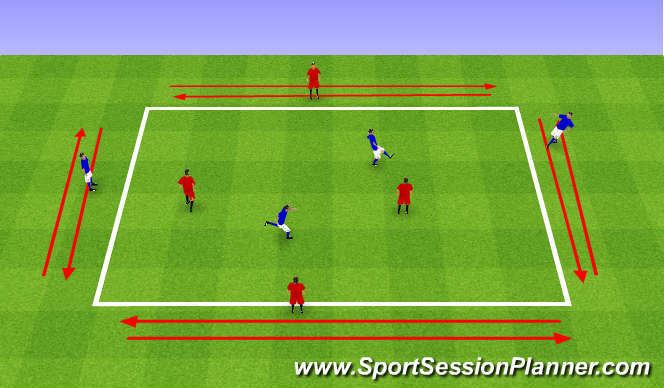 Attacking players start by making 10 yard run away from Coach with Balls. 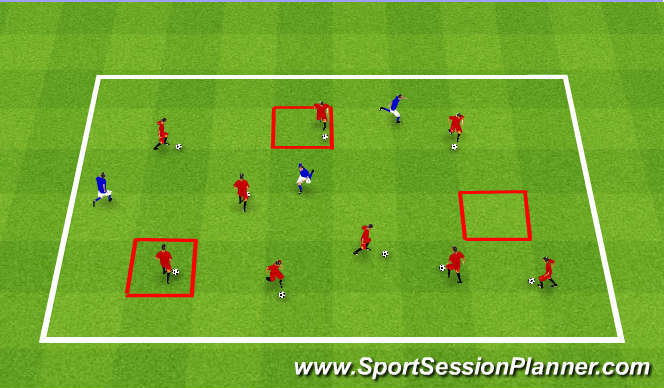 Defenders start on side and move in when previous play ends. Count score, switch after 4 minutes, play four rounds(two attacks per team). Add or remove defenders based on skill and ability.